As we celebrate World Teachers’ Day this year, Dr Dorothy Hoddinott will share details about her life’s experience with Teachers giving hope to all children through education. Dr Hoddinott’s 22 years as Principal at Holroyd High School has turned a western Sydney suburban school into a unique phenomenon. The school is achieving high university entrance beyond the National average with 1/6 students being refugees having lived in Australia for less than seven years, many of whom had little or no knowledge of English. Dorothy’s achievements are all about hope, resilience and legacy. In addition to Dr Hoddinott’s talk, the Australian College of Educators Hills Parramatta Region celebrates World Teachers’ Day each year by inviting Principals to nominate exemplary teachers in their schools to receive an ACE World Teachers’ Day Certificate Award. Dr Dorothy Hoddinott was awarded the Australian College of Educators College Medal in 2012 for outstanding service to school education and the teaching profession through her leadership and achievement, especially in relation to teaching English as a Second Language and students from disadvantaged and refugee backgrounds. Dorothy has been a strong public advocate for the human rights of refugees and, as Principal, has led her school in addressing the needs of refugee students. Dorothy’s conspicuous and continued involvement in the education of immigrant and refugee students has significantly enlarged educational opportunities among persons who would otherwise have had limited prospects of entering the university. 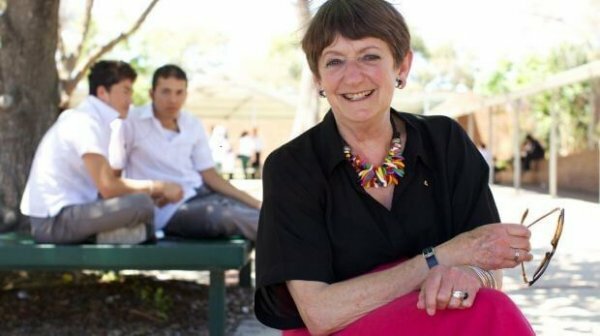 Dorothy was appointed an Officer of the Order of Australia in 2008 for service to education and the teaching profession, particularly through the Australian Joint Council of Professional Teaching Associations, and to the community through the support of immigrant and refugee students. The cost for this event includes a two course dinner with tea and coffee.